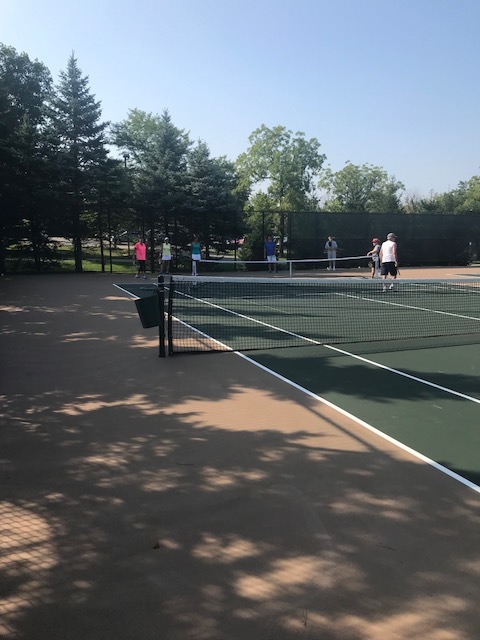 Pickleball at Muirfield Village - Muirfield Association, Inc.
Join us every Monday and Thursday from 9 - 11 a.m.
Pickleball is a fun game that is played on a small court with a net lowered to 34 inches at the center. It is played with a perforated plastic ball, similar to a whiffle ball, a wood or composite paddles. It is easy for beginners to learn, but can develop into a quick fast-paced, competitive game for experienced players. 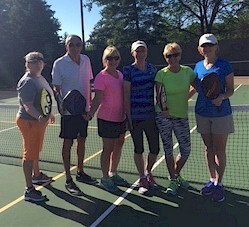 Ideal for older adults, but fun for all ages!! 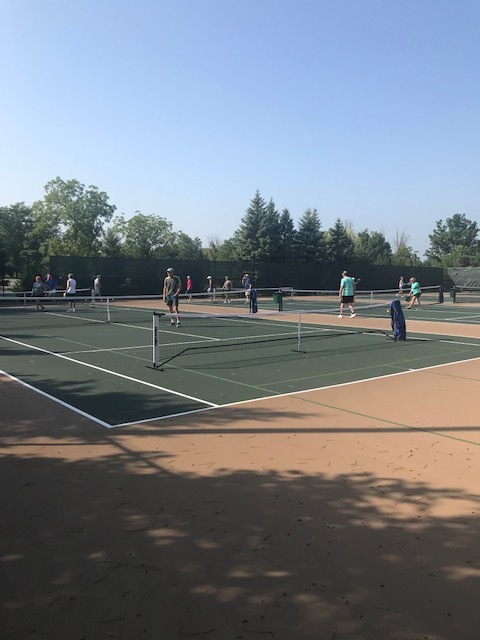 Contact Jackie Scarborough at [email protected] if you would like to be added to the Muirfield Pickleball email list for updates and news. 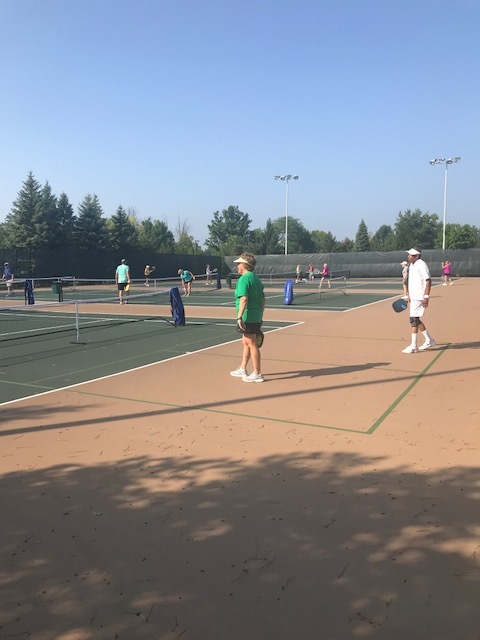 Contact Ruthie Trott at [email protected] for Pickleball questions. 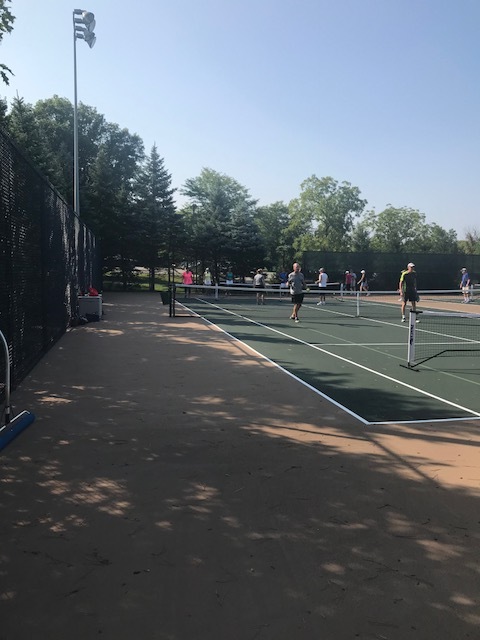 The Pickleball equipment is located in a locked combination box on the east side of the courts. Please contact the Association office at 614-889-0922 if assistance is needed opening the box.